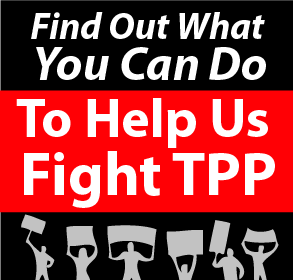 EFF has been fighting against the Trans-Pacific Partnership (TPP) intellectual property chapter for several years. This agreement poses a great risk to users’ freedoms and access to information on a global scale. We have created this infographic to capture the most problematic aspects of TPP, and to help users, advocates and innovators from around the world spread the word about how this agreement will impact them and their societies. Right-click and save the image for the PNG file, or you can download the PDF version below. We thank Lumin Consulting for working with us on this project.